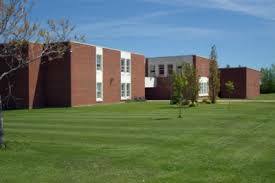 My wife and I were discussing reunions for the High School we both attended, Three Oaks Senior High School in Prince Edward Island. Neither of us has ever managed to attend a reunion because we live in Ontario, only get back to PEI every two years (if that), and when we do get back any reunions are invariably held the week before or after we’re there (hmm… makes you wonder). We got to talking about the so-called “in-crowds” which neither of us were ever a part of, if such things even existed at Three Oaks. We agreed that it was a long time ago and probably everybody’s changed anyway. Effectively ending the conversation (it’s hard to talk when you’re too busy laughing). My 20 yr is coming up and to be honest I am not keen on going. I didn’t go to my 10 yr either. But you’re right, what did we know back then.